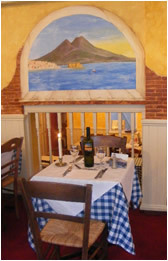 Treat yourself and friends to a Neapolitan dining experience at Il Vesuvio in Tunbridge Wells. Bringing family and friends together at the dinner table is one of the most important traditions for Neapolitan people. Our family promise you the highest quality pasta, pizza, fish, steak and seafood recipes in a comfortable air conditioned restaurant, magical atmosphere, and a familiar, friendly service. Topped off by very affordable prices. 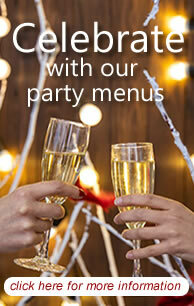 We look forward to seeing you soon call us on 01892 534420. Alessandro and Barbara decided to take advantage of their father’s love and knowledge of the Neapolitan history and tradition and have forced him to work in the restaurant to bring ancient culinary traditions to the English population. Franco has carried out extensive studies on the history of Naples. Over the last 20 years, he has been particularly passionate about the Neapolitan culinary arts. Through practical experience and academic research he has collected hundreds of ancient recipes; learning the secrets of the ingredients and the techniques used ever since the ancient times. For the neapolitan people, one of the most important thing in life is uniting friends and family together to enjoy good, healthy food accompanied by long conversations about their philosophy of life, social and political views and of course how Napoli, the city’s football team, is doing. Franco has studied the history of one of the most ancient cities in Italy. Over the last 20 years, he has been particularly passionate about the Neapolitan culinary arts. Through practical experience and academic research he has collected hundreds of ancient recipes; learning the secrets of the ingredients and the techniques used ever since the ancient times. He passed his passion onto his wife, son and daughter who have now decided to use this restaurant as a portal for everyone to take a trip into the ancient and modern Neapolitan tradition. “Il Vesuvio” will be the expression of this philosophy, this tradition, this passion. 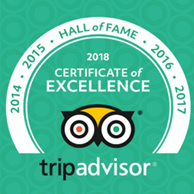 Our family will promise you the highest quality of food, the most magical atmosphere and a welcoming and friendly service, topped off by the very affordable prices. So come and visit our fine Italian restaurant in Tunbridge Wells Kent serving traditional Neapolitan pasta, pizza, steak, seafood and fine wine. 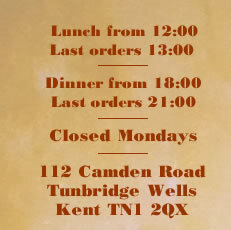 Within easy reach of Tonbridge, Sevenoaks and Crowborough. Forget all you know, or whatever you think you know about Naples. Naples has nothing to do with the Neapolitan Ice cream, it is also not a country in the South East Asia (Nepal), however, what some of you may not know, is that Pizza was invented in this city in the south of Italy and NOT in the United States of America. Let’s begin by saying that Naples is one of the most ancient cities in Italy. Founded by the Greeks in the 10th century BC and then inhabited by the Romans for over 600 years, where the Roman emperors used to go for their summer vacations in their Neapolitan villas on the coast. Over the 3,000 years of Neapolitan history, a lot of the European populations tried to follow the Roman example and invaded the city so that they could grant themselves a villa in one of the most beautiful and exotic places on earth. These invasions influenced the city and its population to a great degree, in fact, the Neapolitans were able to capture the best things from each of these cultures and incorporate them into their own culture, habits and indeed, cuisine.